Night sweats, also known as cold night sweats or hyperhidrosism, can basically be defined as a period of sweating during the night that has the potential to make your night clothes or bedding wet even if there is normal thermoregulation. There are many different causes of night sweats, but one of the most common ones in women over 40 are the hormonal changes that take place due to menopause and perimenopause. If truth be told, night sweats, in a majority of cases, are typically caused by low body oxygenation that occurs because of positive static electricity of the human body, mouth breathing, chest breathing, supine sleep and hyperventilation. 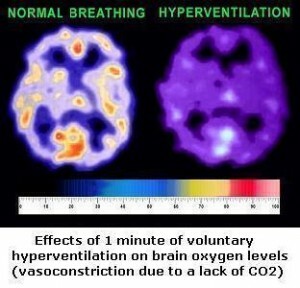 Every single one of these factors has the ability to lead to low tissue O2 concentrations, and can play a part in promoting immunosuppression, chronic inflammation, dysregulation of hormonal changes and a number of other pathological effects. The table given below will help you learn why night sweats are so common in modern people (both men and women). However, they were extremely rare all through the first decades of the 20th century. Just about all cases of night sweat are triggered in people who have lower than 20 seconds for the body-oxygen test. 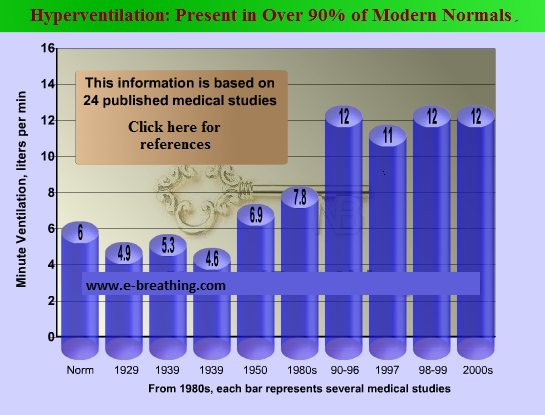 Remember, the norm is nearly 40 seconds (the norm determined by Dr. Buteyko is 60 s). Night sweats can become a whole lot more severe if the body-O2 content becomes less than 10 seconds or more than 4-fold below the norm. Simple breathing exercise that can help cut down on the severity of night sweats. The same exercise can be used to stop cramps and muscle spasms. But, if you really wish to stop night sweats completely, it is necessary for you to get up to 25-35 seconds for the morning body-oxygen test results. For instance, people who have cancer do not experience night sweats when they acquire 20-25 s for their body-oxygen test (with even higher daily CPs). But, if you suffer from menopausal hot flashes, you need to get up to 35 s for the morning body O2 for them to vanish, and achieving so can take from weeks to months.